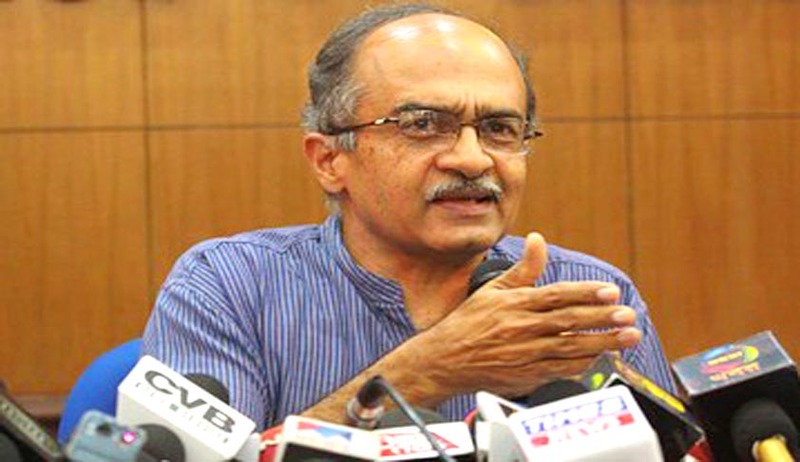 The Supreme Court bench that criticized Advocate Prashant Bhushan for making upsetting remarks against it in connection with the Coalgate case, has accepted his apology that his intentions were not to lower the esteem of the court or hurt judges. Earlier a three-judge bench headed by Justice RM Lodha, which listed the case only for the purpose of taking cognizance of Bhushan’s statements published in a news magazine, expressed its anger and displeasure over the remarks, saying the bench was deeply hurt by the statements. After Bhushan apologized for his remarks, the bench also comprising Justices Madan B Lokur and Kurian Joseph refused to proceed against Bhushan any further and turned down the plea made by other lawyers involved in Coalgate to take action against him for his contemptuous remarks. At the outset of the hearing, Justice Lodha said that when the extracts of the interview by Prashant Bhushan to a news magazine were brought to their notice, the apex court bench was deeply hurt as such a statement came from an arguing counsel and that too Prashant Bhushan. Advocate Bhushan had, in an interview with a news magazine, raised questions that why even after being aware of the fact that the Attorney General Goolam E Vahanvati allegedly lied to the court by saying he did not go through the CBI affidavit before it was filed in the Apex Court, the bench did not take any action against the AG. The bench had then expressed strong disappointment against Bhushan’s statement to the magazine, saying judges hear and decide cases fearlessly and without any prejudice and it is unfair to question their conduct.